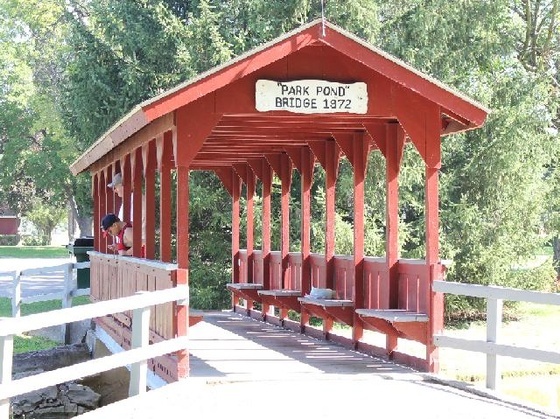 Harrison Smith Park, just east of the downtown on Wyandot Avenue features the old ''siwmmin' hole,'' now a fishing pond with a covered bridge. 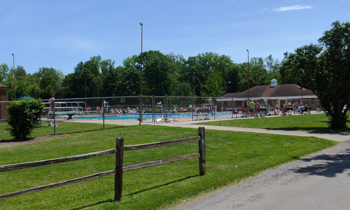 Other amenities of the park are the swimming pool, ball diamonds, basketball and tennis courts, a band shell, picnic shelters, and many play areas. During December, the park hosts the annual ''Upper's Winter Fantasy of Lights.'' During the year the park is home to many and varied events including daily walkers, fishing cross-country meets, swim meets, swimming lessons and much more.